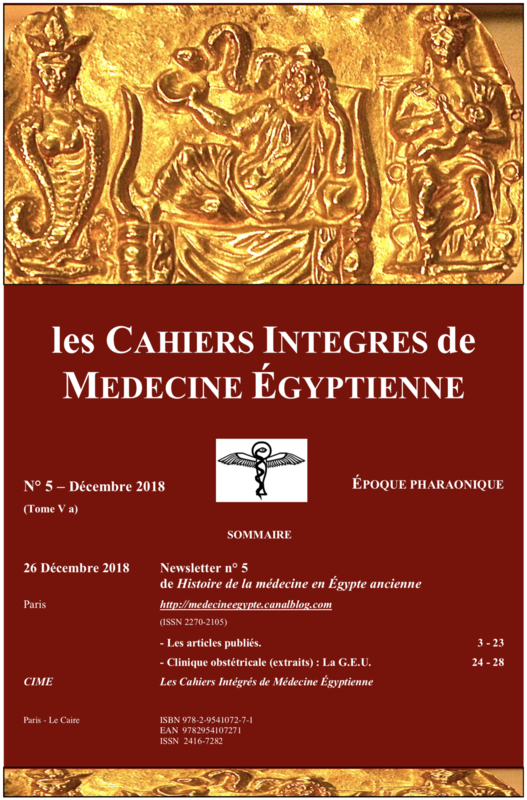 • Richard-Alain JEAN, Anne-Marie LOYRETTE ✝, Paula LUPO-GHALI, Jean-Pierre MARTIN, Xavier RIAUD et coll., Cahiers intégrés de médecine égyptienne (CIME ), V, 1, Paris - Le Caire, décembre 2018. We’re sorry you’re having trouble uploading papers! We are currently experiencing an issue where users from some countries may have trouble uploading papers to the site … While we are currently working on resolving this issue, unfortunately the bug has proven to be extremely complex and we do not have a set date for when it will be resolved. Again, we apologize for the frustration that this has caused. Please let us know if we can help you with anything else at this time.